One of life's real pleasures: a succulent Sunday roast with all the trimmings. Here's where to go to find Glos and Wilts' best Sunday lunches. 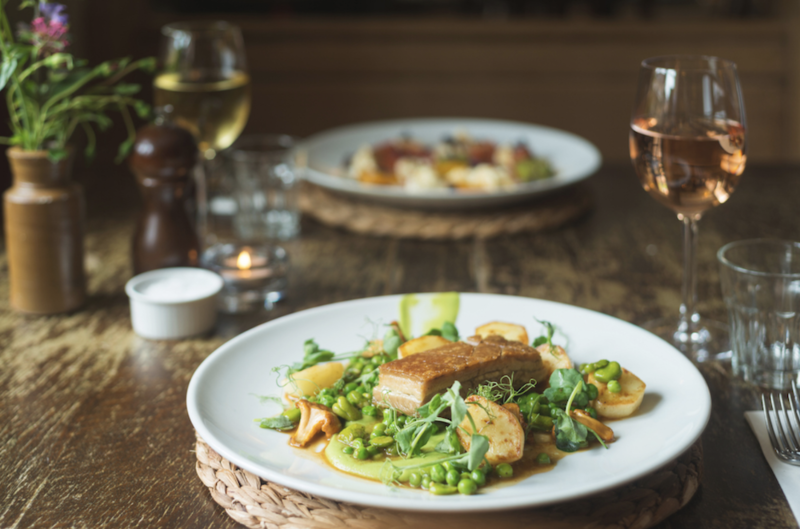 This historic gastropub takes centre stage in the sleepy village of Wraxhall, and prides itself on only using the freshest ingredients, ensuring their meat, dairy and veg is all sourced from nearby villages. Everything is prepared in the kitchen, including baking bread and smoking salmon. Regulars rave about the warm and welcoming service and take advantage of the cosy atmosphere in the winter and beer garden in summer. 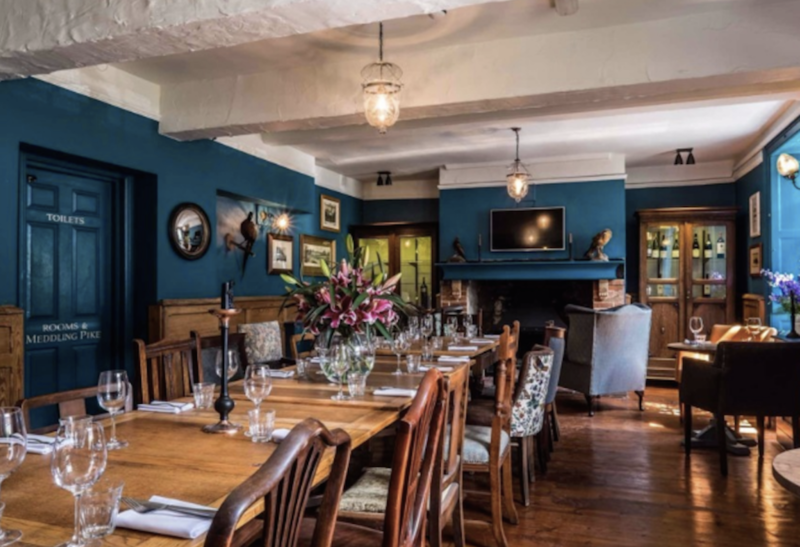 The pub has racked up its fair share of awards including ‘Best Gastro Pub 2016’ at the Bath Life Awards, and a Michelin Bib Gourmand four years on the trot. 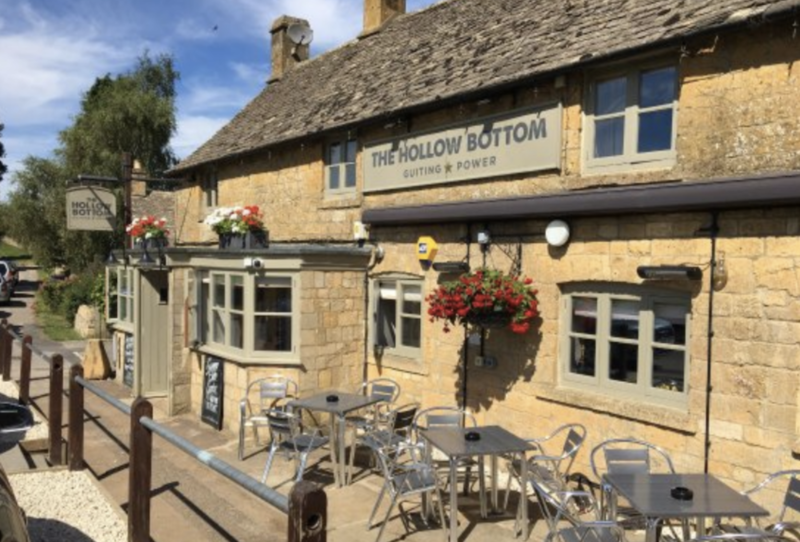 After reopening with a new Soho look, boutique en-suite rooms and regular band nights, this location has quickly become the ultra-cool, go-to spot in the Cotswolds. 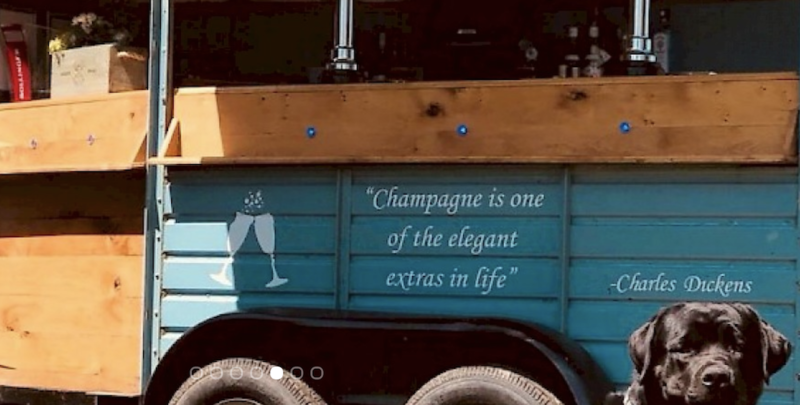 Every detail has been finished to the highest quality, from their speciality gin menu, with 21 perfected classics, to freshly baked pizzas fired up in a wood-burning oven. Everything about this place oozes style and sophistication. Sunday lunch ain’t too shabby, either. Attracting tourists and locals alike, this is the place to head to for fab food and stylish interiors. Fab Sunday lunches include oak cured organic salmon, grapefruit, beetroot & rocket salad, baked garlic camembert or venison carpaccio for starters, followed by flat iron steak, roasted breast of chicken or pan fried fillet of sea bream, amongst others. For parties and weddings, hire the Bull Room – a vaulted barn with its own bar, garden and entrance – a mini pub for up to 60 guests. With one of the best beer gardens around, this is the perfect location for a late lunch on a sunny Sunday afternoon after a long dog walk. Unrivalled views attract visitors from all over, and the food is what keeps them coming back. 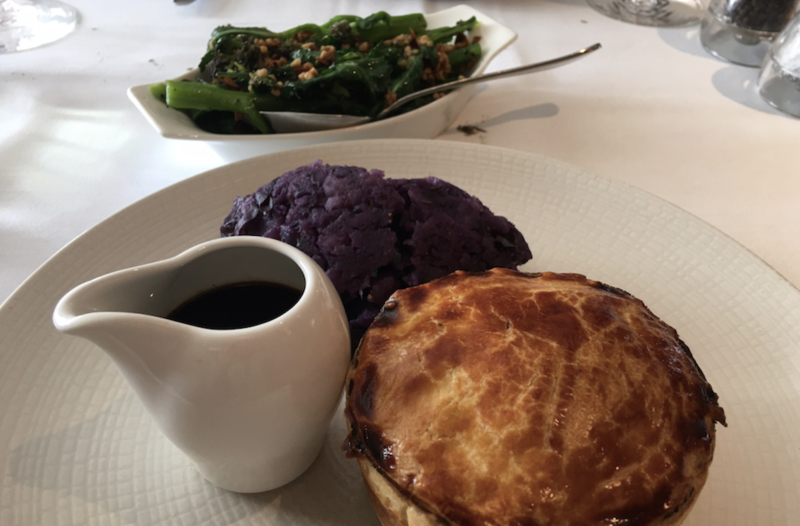 Head chef Roland designs a regularly changing menu of international cuisine, including pork cheeks, slow roast lamb shoulder and broccoli tart. The Three Tuns is one of those rare beauties – it has a lovely, dog-friendly beer garden with a boules pitch for summer-tastic drinking but come winter, roaring fires will toast your toes while you glug your way through the jug of freshly-made Bloody Mary propped on the bar, small batch spirits from around the Southwest and, last but not not least, their homemade Mulled Cider. Inventive adaptations of pub classics include beetroot and red wine risotto, rare bavette steak with kimchi butter and house chutney with crackers. Sunday lunch includes a set menu, with 35 Day Aged Rump Cap from highly esteemed Walter Rose of Devizes. On the edge of several beautiful country walks and cycle paths, this is a great stop-off if you’re looking for proper posh pub grub. A slice of luxury on the outskirts of Cheltenham – the perfect location for a country escape with easy access to the big bright lights. 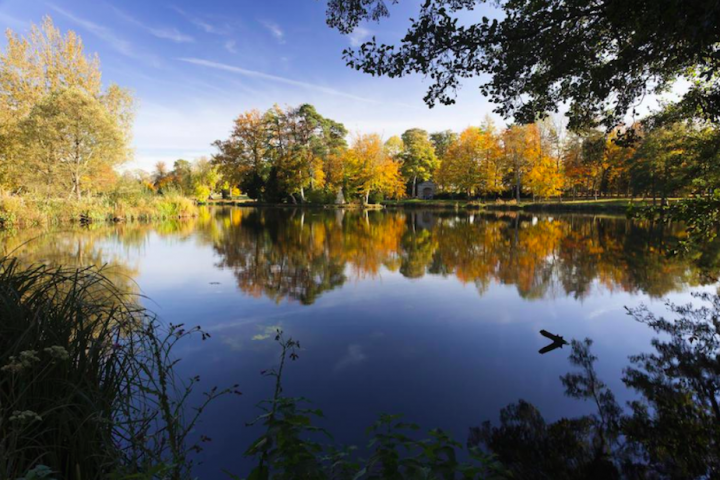 Housed in a grand Elizabethan manor house with roaring fires, chandeliers, stylish interiors, top-notch food, an indulgent spa and gardens with views to die for, it ticks all the boxes for a fairy-tale weekend getaway. 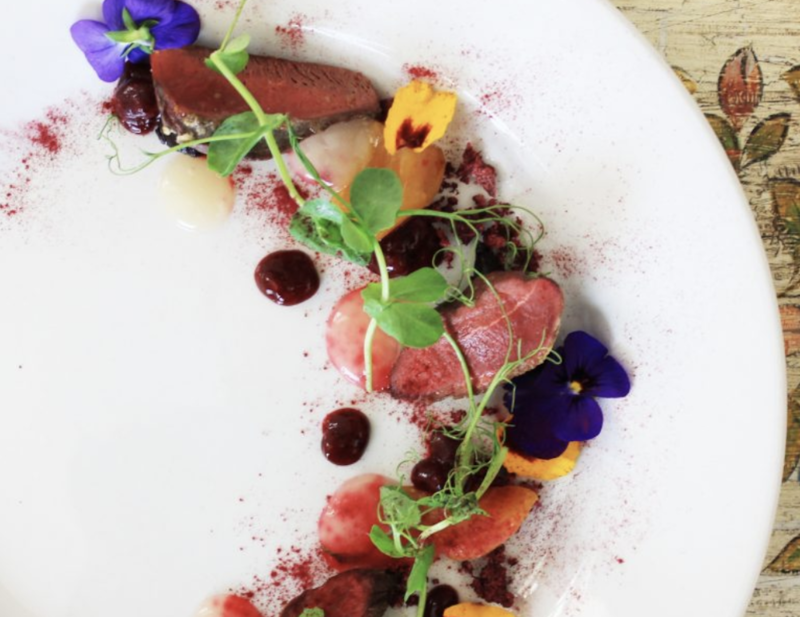 Food is a particular highlight – head chef Marcus McGuinness is a fan of big flavours and turns out impeccable dishes such as cured salmon with pink grapefruit & ginger, confit guinea fowl with Iranian aubergine, and elderflower panna cotta with rhubarb jam & sorbet. 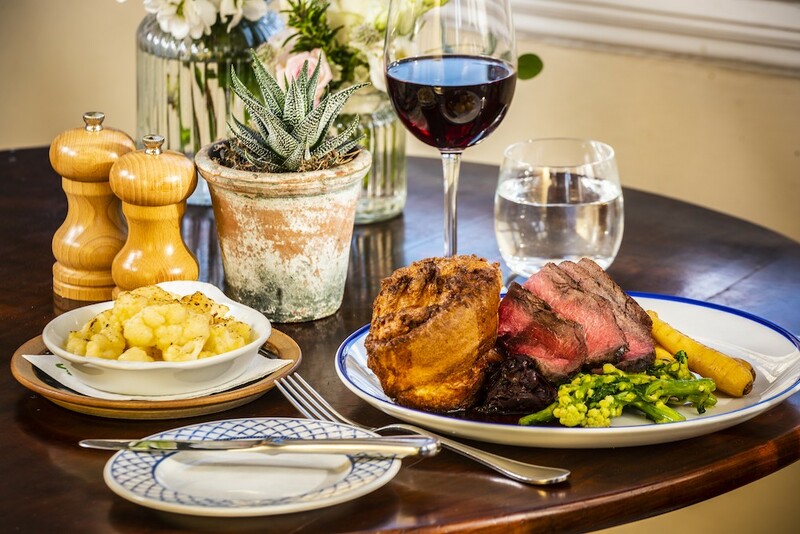 Sunday lunch celebrates the artisan producers of Cheltenham, as The Greenway works with farmers and suppliers to present the best ingredients, in season and ethically sourced. The Bell has a brilliant reputation for being one of the best in Wiltshire and it’s not hard to see why. 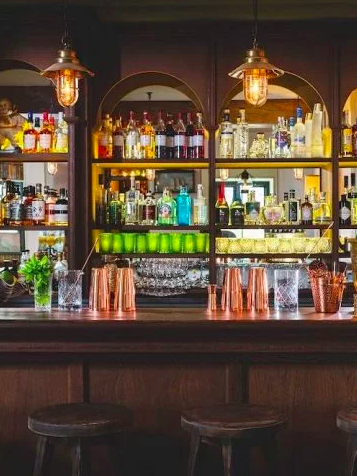 After being voted Pub of the Year in 2017 and 2018 by the AA, and part of an estate boasting a brewery, distillery and smokehouse, they’ve been able to source their own gin, vodka, ales and smoked products which has put them a tier above the rest. Décor is simple, cosy and comfortable, letting the food do all the talking. An ideal location for a lazy Sunday lunch before a long country walk. 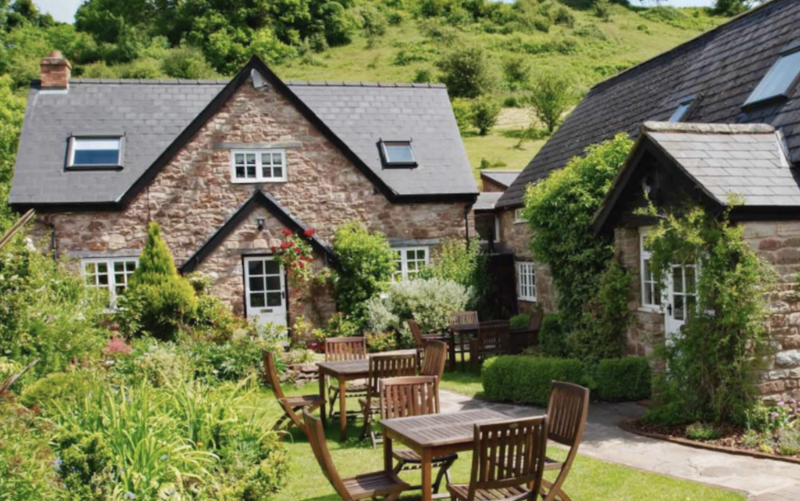 In the tiny village of Shipton Oliffe just a few miles from Cheltenham, sits The Frogmill, a true culinary gem. This 16th century grade II listed property has been designed to celebrate its original features, with vintage furniture and William Morris wallpaper. Attention to detail has transformed it from a quiet country inn to an elegant and romantic retreat, with a giant outdoor terrace that attracts the masses on summer weekends. Make sure you’ve brought your appetite with you, as portions do not disappoint! With an American-smoker and coal fired oven at their disposal, dishes pack a punch with flavour. It’s a place people go the extra mile to reach, and it’s easy to see why. 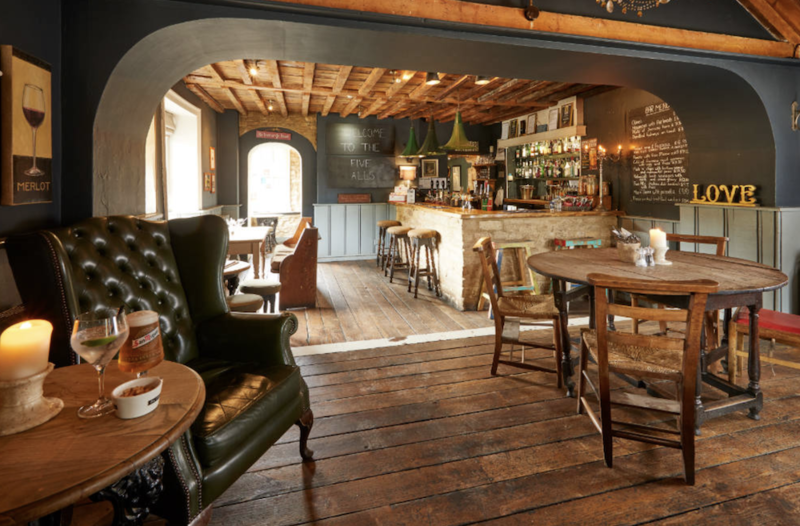 Nestled in the quaint village of Horningsham, The Bath Arms is on hand for a Bloody Mary and gastro nosh up, from sandwiches (fish finger and tartare foccacia anyone?) to a full roast. Dishes are plated to rival Michelin star restaurants or modern art, bursting with style, colour and flavour. Situated on the edge of the Longleat Estate, you’re guaranteed a warm country welcome and relaxed atmosphere. 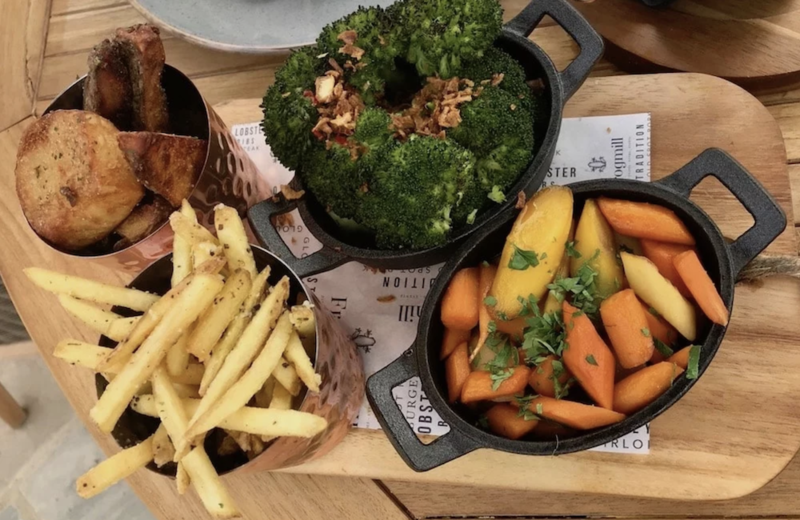 Expect lamb leg and sirloin of beef on offer (with all the trimmings), or those keen to share can also tuck into a whole chicken for two, 32oz cote de beouf for two or pork loin for four. With all meat locally sourced from Ruby & White, you can be certain that the whole family will be impressed. 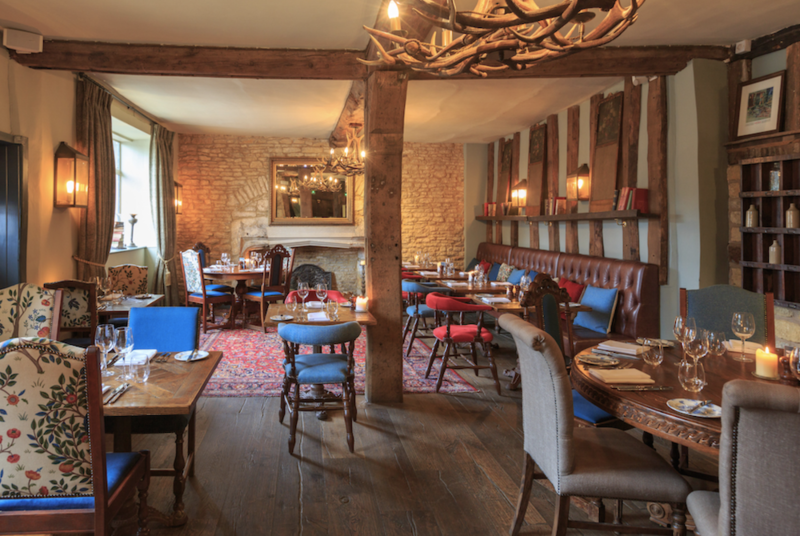 We love this award-winning, 17th-century country pub in the Cotswold heartland for its fab food, chilled-out atmosphere and quirky touches. Head Chef Jamie creates passionate and flavourful dishes, reflected in an original menu – highlights include ham hock ballotine; halloumi, honey & harissa burger; slow cooked pork belly and a pea, courgette & artichoke risotto. The kitchen is open all day, every day so no excuses not to get down there and enjoy this incredible menu, but we particularly recommend their famous Sunday Roasts, served in three sittings – 12 noon, 2pm and 3.30pm. 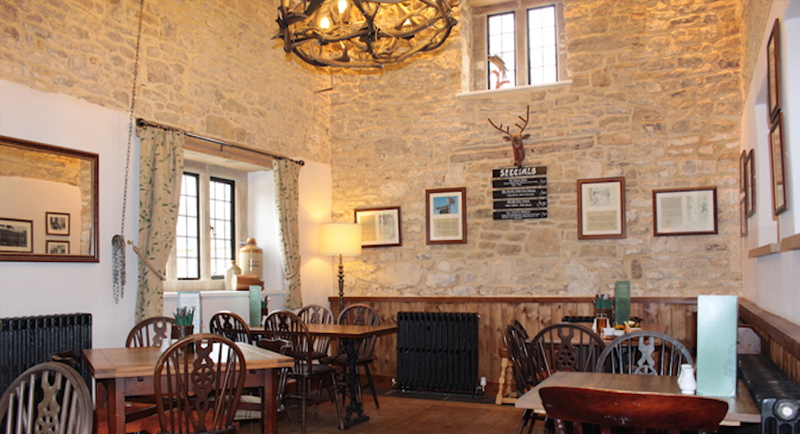 An historic Cotswold inn with rustic charms aplenty, local real ales on tap and knockout 2in1 Pies. The charm of this 400-year-old pub has not faded – with mismatched chairs and a roaring fire, the place screams come on in and get cosy. Their speciality 2in1 pies are an absolute must – they’ve become so popular there’s even an option to take them away to bake at home. The rest of the menu is bang-on too. England’s oldest hotel, The Old Bell, sits proudly in the heart of historic Malmesbury, with every inch full of English charm. The location is unbeatable, right next door to a 12th century abbey, and whether you fancy cocktails, canapes, lunch or dinner, The Old Bell has you covered. Specialising in modern British classics, Sunday lunch includes starters of Welsh Rarebit, Whisky Home Smoked Salmon, and Rabbit, Pancetta and Thyme Tortillini, with mains of Roast Beef Sirloin, Roast Chicken or 8-Hours Slow Cooked Pork Belly. Not a meat eater? I’ve got my eye on the Roast Sage and Nut Crusted Cauliflower Steak. Top tip – leave room for dessert. They’ve got the best sticky toffee pudding around! 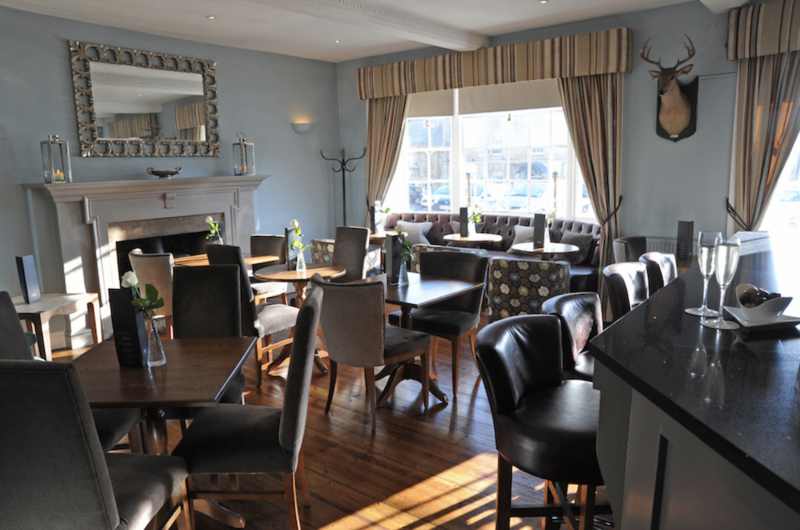 A dining pub with rooms on a lush farm in Wiltshire. 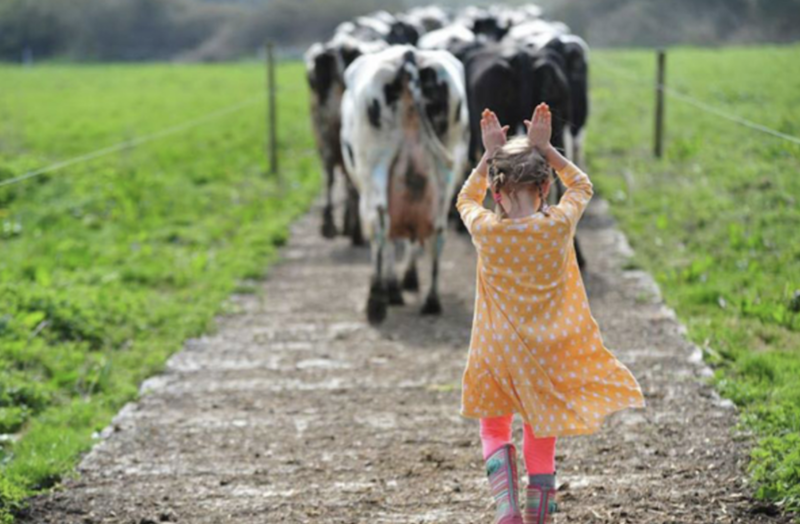 If you want great tasting organic food, the farm is where it starts! Smack bang in the middle of Helen Browning’s 1,500-acre land sits The Royal Oak in the village of Bishopstone – after finding huge success in her organic farming venture, Helen took over this quiet country pub to turn it into something truly special. Over 20 years later, you can count on the fact that every single dish on the menu has been ethically sourced, with meat from her very own back garden. Think unbeatable flavours, the very best cuts and great portion sizes. Situated next to the ancient ridgeway, the location is perfect for keen hikers or dog walkers. A quintessentially English pub with no frills or fluff but proper pub grub, a fabulous view of the countryside and canal, and a comfortable beer garden. The interiors are simple and charming, letting the historic features of the 18th century cottage do the talking. 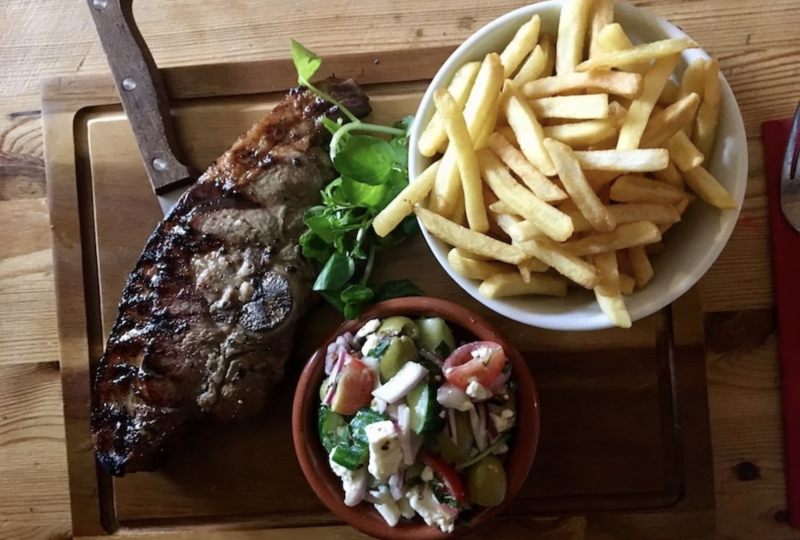 The owners are also behind Cirencester’s The Four Seasons Meat Company, so it doesn’t take a genius to imagine how fantastic the meat served here is. 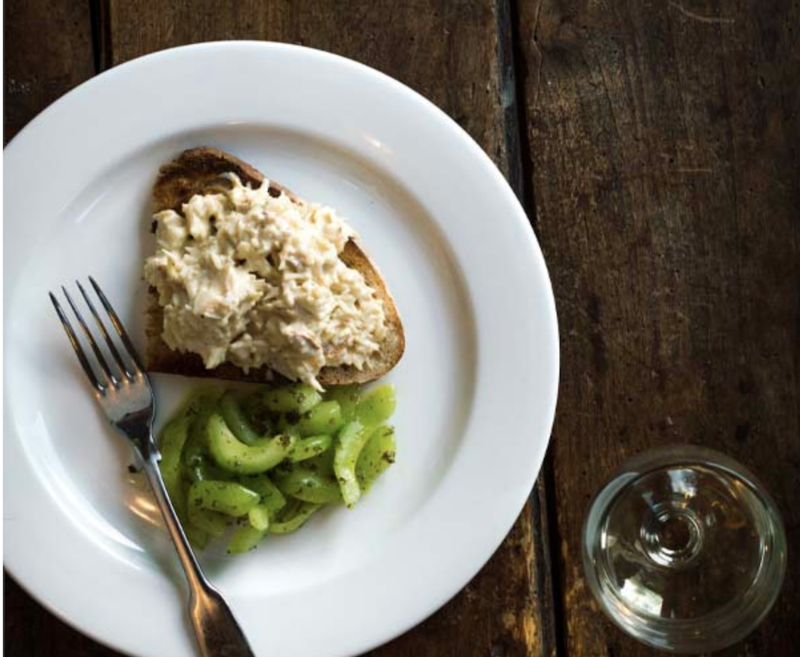 From a whopping Barnsley lamb chop to ham hock, chicken and leek terrine, the menu is varied, delicious and well thought out, suitable for even the fussiest eaters. On Fridays they run their own makeshift Chip Shop for take-away or delivery, so you can enjoy their fabulous food in the comfort of your own home. Rock up at the uber-gorgeous village of Hindon in the West Wiltshire Downs and you’ll find everything you need in a country pub. 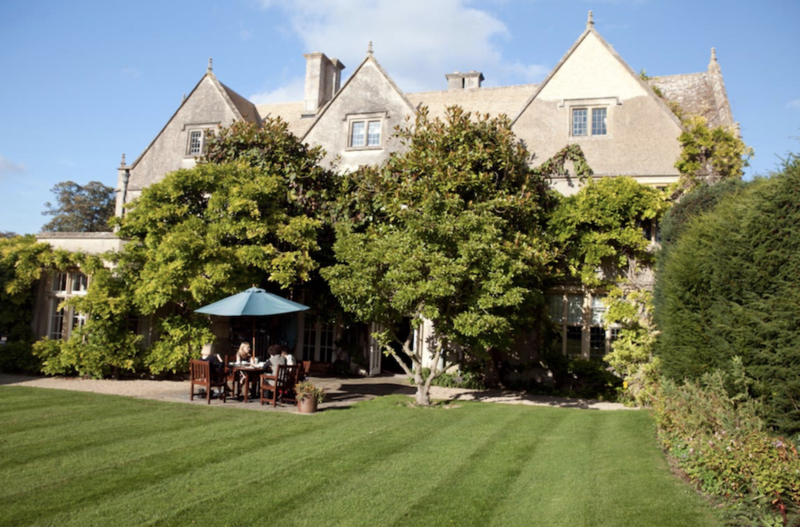 Their popular Sunday Spring lunch includes starters of Croxton Manor brie and caramelised red onion quiche, or Dorset lamb shoulder croquettes, moving onto mains of sirloin of British beef, root vegetable and spinach Wellington, or roasted Wick’s Manor pork loin. Don’t fancy a roast? There are burgers, sausages, steak and fish and chips, natch. We particularly love their sharing Ploughman platters, veggie or meatie. With more whiskies available in this pub than most of the South-West, The Lamb does nothing by halves. The Jackrabbit restaurant is a hidden delight based in this boutique hotel. Head chef Greg Newman is the genius behind the 3AA Rosette awarded restaurant, priding himself in taking as much care with breakfast, afternoon tea and lunch as he does with the a-la carte menu. From blow torched south coast mackerel to 12-hour braised Gloucestershire pork belly, each dish has been specially designed to use raw ingredients and turn them into something truly special. 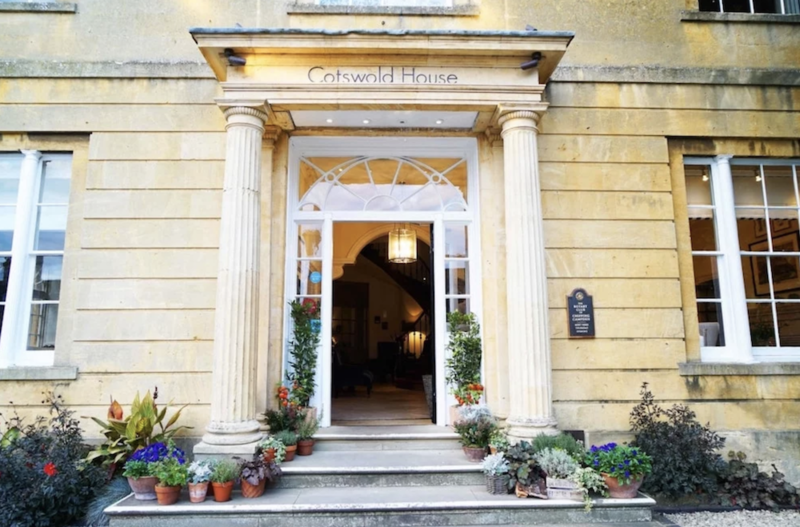 This boutique hotel in the lovely market town of Chipping Campden is a bit of a gem with its stunning architecture – a row of four properties on the high street with a fabulous Regency edifice at the centre – fine-dining restaurant Fig, brasserie-style eatery Bistro On The Square and award-winning spa. It looks gorgeous inside and out and when it comes to service, well, you get treated like royalty! The gorgeous Fig restaurant is the place to take afternoon tea indoors but its main draw is its fine dining – the modern European menu is headed up by a Michelin-experienced chef and the restaurant is gunning for its third rosette, with two already under its belt. The Bistro is a more casual eatery with brasserie classics on the menu and an impressive range of cocktails, with gin something of a speciality. 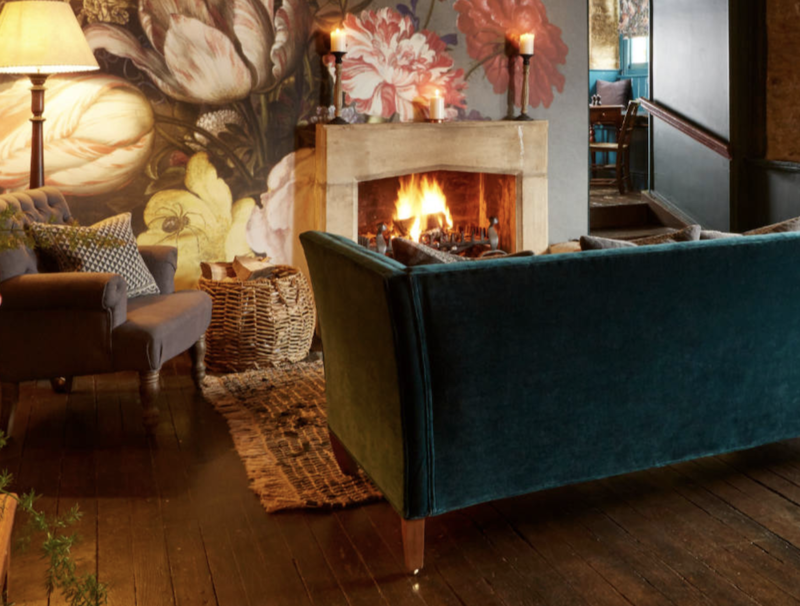 This 18th century coaching inn in the charming Cotswold village of Filkins attracts England’s elite – a letter from Downing Street has pride of place on the wall! 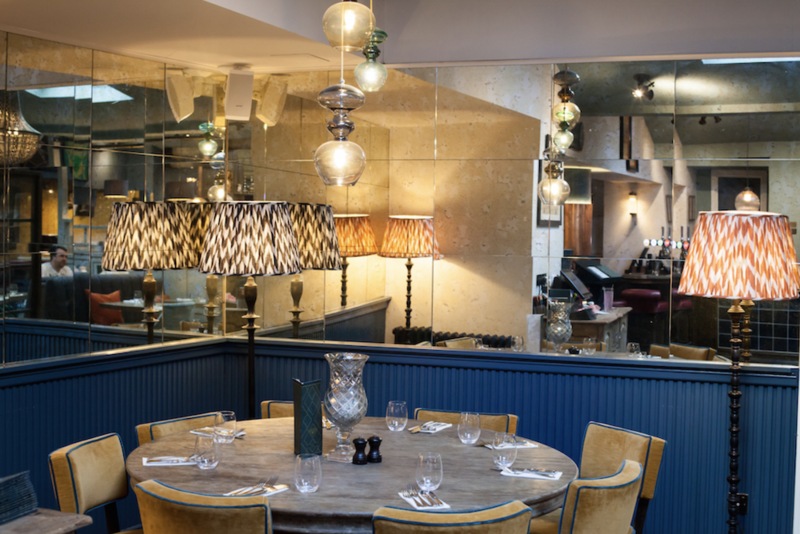 The head chef creates a masterful plate of food, whether it’s brunch, a three-course dinner or club sandwich, but we’ll plump for Sunday lunch in either of their two cosy dining rooms. If the weather is in your favour order one of their speciality cocktails in the stunning beer garden. Set in one of the most idyllic locations in Gloucestershire, this drop dead gorgeous 17th century ivy-covered gaff is about as pretty as it gets. 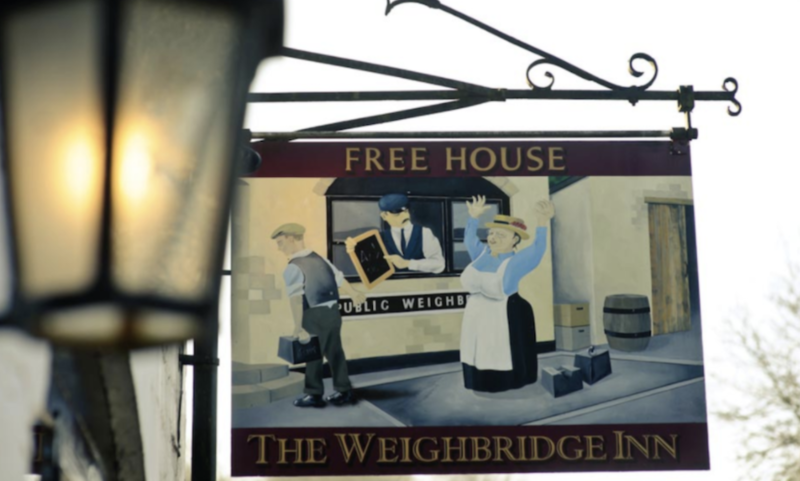 The family-owned free house has all the heart of a local inn, with a superb courtyard outside. 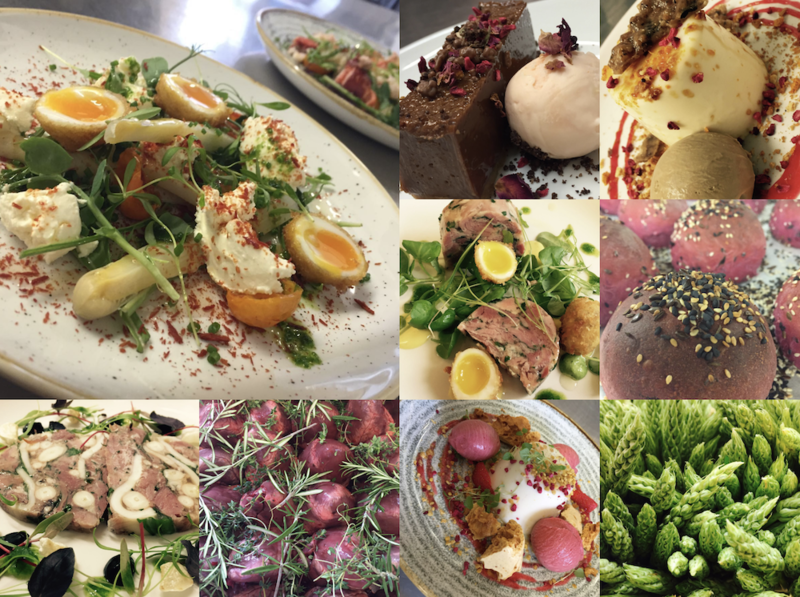 The ever-changing menu focuses on local produce, and sustainability is as much a part of their ethos as their delicious meals, maintaining a perfect 3-star rating with The Sustainable Restaurant Association. England’s self-proclaimed ‘oldest inn’ also happens to be one of the classiest, with stylish interiors, excellent gastrofare and luxe bedrooms. First opening its doors in 947AD, for centuries punters have been choosing The Porch House as their local and despite renovations this countryside inn has all its quirky and historic features intact. Perfectly suited for fine dining or a casual Sunday lunch, the menu boasts robust cooking, sourcing all ingredients from local suppliers. Even better, the grand opening of their breath-taking aromatic lavender garden is on Friday 19th April – what better excuse to whip on your glad rags and enjoy a glass of specially created herb infused cocktails? Last but by no means least, gorgeous Tudor Farmhouse is on the fancy side compared to your classic muddy wellies, cider and chips brigade, but the food here is one of its biggest selling points, with Head Chef Rob Cox priding himself on only using fresh, free-range, organic and local produce. So, it’s no wonder they have bagged themselves 2 AA Rosettes. Dinner features an impressive selection of dishes such as Welsh Lamb rump & shoulder, Jerusalem artichoke and hazelnuts, and Longhorn beef sirloin, braised short rib, carrot, onion and red wine sauce. Oodles of rustic atmosphere in a perfect balance with luxury.